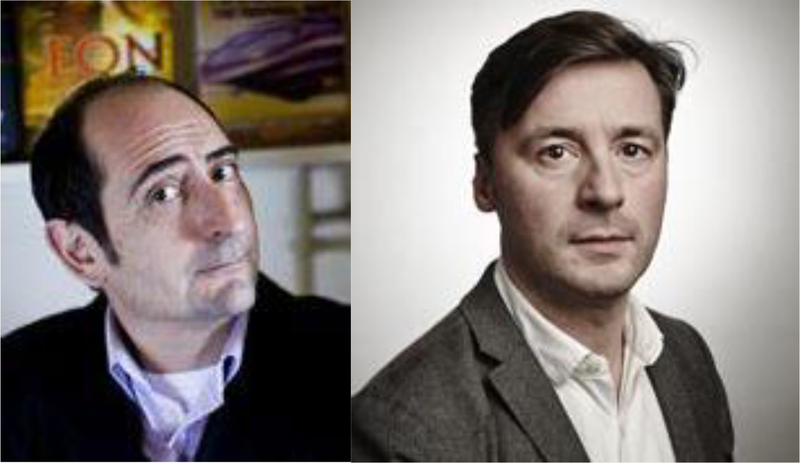 In a lunchtime conversation, Francis Hopkinson, BAFTA award winning Creative Director, Drama at ITV and Literary Agent, Antony Harwood lift the lid on the business of commissioning, editing and realising award winning books, film and television programmes. Antony Harwood was at Chatto & Windus publishers for six years as Publicity Director and then Commissioning Editor before becoming a literary agent in 1985. He was a Director of the Wylie, Aitken & Stone and Curtis Brown agencies before setting up his own agency, based in Oxford, in 2000. Over the years he has worked with a broad range of writers including Anne Tyler, Iris Murdoch, William Burroughs, Angela Carter, Alan Hollinghurst, Garth Nix, Dorothy Koomson, Peter F. Hamilton and Louise Doughty, whose bestselling novel, Apple Tree Yard, was adapted as a major BBC television series in 2017. Francis Hopkinson joined ITV Studios as Creative Director, Drama in 2011. Since arriving his department has produced the critically acclaimed LUCAN and the hit series HOME FIRES both for ITV. He started his career on the THE BILL, before joining World Productions as Associate Producer of the BAFTA Award winning series THE COPS. In 1999 he joined Granada Television and produced a number of programmes, including: the BAFTA nominated DANIELLE CABLE: EYEWITNESS and the Emmy Award winning HENRY VIII, starring Ray Winstone. In 2005 moved to Channel 4 as Senior Commissioning Editor for Drama and oversaw the multi-award winning ELIZABETH I starring Helen Mirren, LONGFORD and E4's hit series SKINS. In 2007 he co-founded Left Bank Pictures and was Executive Producer of the BAFTA award winning WALLANDER starring Kenneth Branagh and ITVs long running detective series DCI BANKS.